I've always been impressed by Éric Chahi's "Another World" ("Out of this World" in the US). I especially liked the intro movie. Back in the day I played the DOS version, and later the SNES port. Recently I was inspired by Paul Nicholas' Pico-8 version. 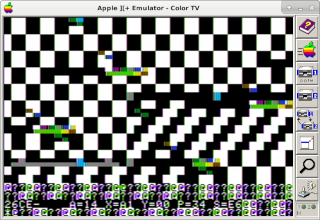 It's dangerous when I see colors and say "hey those aren't too far off what the Apple II can do". 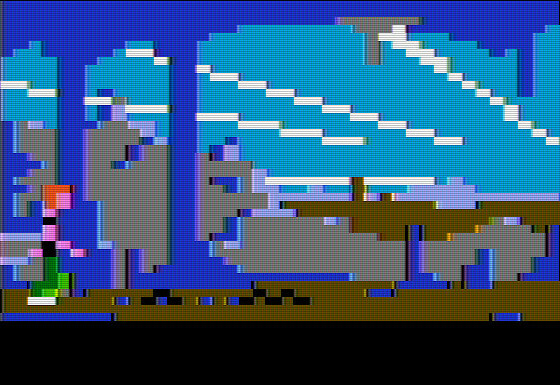 So anyway I made a rough version of the intro movie and first level of the game using the Apple II (from 1977) Lores graphics mode. You might say "Hey, there's an amazing official Apple IIgs version". That's true, but the Apple IIgs came out 10 years later and has an order-of-magnitude better hardware to work with. Here is the Intro movie from v1.7. Ended up capturing on the IIe as the II+ shown was having disk drive issues. This is gameplay video from the really old V1.0. If you want newer results feel free to download the disk image and try it yourself. I grabbed this with a new (expensive) video capture card. Not sure if it is better than the old one. Any sort of Apple II should work. The intro movie requires 48k of RAM, the game currently requires less. I haven't tested on IIGS or IIc. You can find it in the full git repository here: You'll need cc65 to build it. A lot of somewhat major changes here. Add the rope animation. Added end-of-level1 animation. Added initial backgrounds for level2. A lot of messing around with the sprite drawing code. Jumping and running support. Fix some minor color issues (grey5 vs grey10) as well as have the intro auto-start the game when done. Intro was done, but even after massive optimization took 46k (maximum room I had was 42.25k). Took a while, but eventually have it overlayed the data using LZ4 and now the executable is only 28k or so. Intro is now up through the lightning storm. More work on the intro movie, have it more or less OK up through the keypad scene. Added backgrounds for the intro movie. Can now trigger the beast animation. Slugs appear on ceiling but cannot fall yet. Added slugs to second cavern room. Can climb slope in rope room now. Added more of the rooms. Started making the code generic so I can arbitrarily turn on earthquakes in any of the rooms. 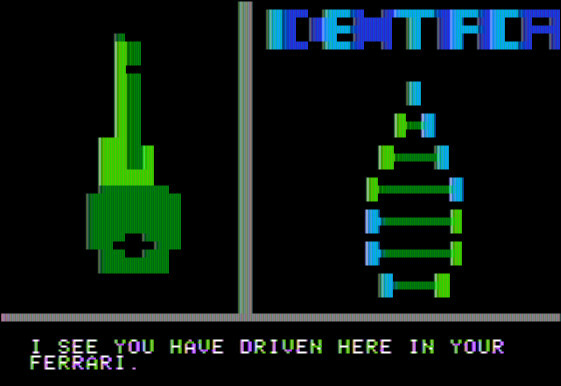 It's beginning to look like I might get around to implementing much of the game up to the first checkpoint. Had thought I was done, but no, I went and added another room (the rope room to the left of the pool). Still need to enable earthquakes for it (and of course, eventually, rope activities). This was an unexpectedly fun project. Development goes a lot easier when you aren't cycle-counting or worrying about size optimization. 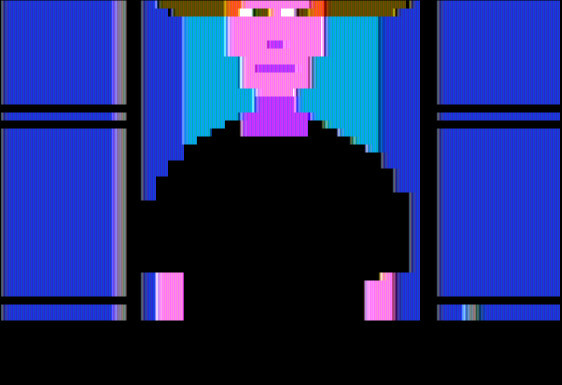 As always the Apple II lores color pallette and pixel size are a bit of a challenge.